"Game On'. . Wallpaper and background images in the The West Wing club tagged: west wing season 4 richard schiff alison janney john spencer martin sheen. 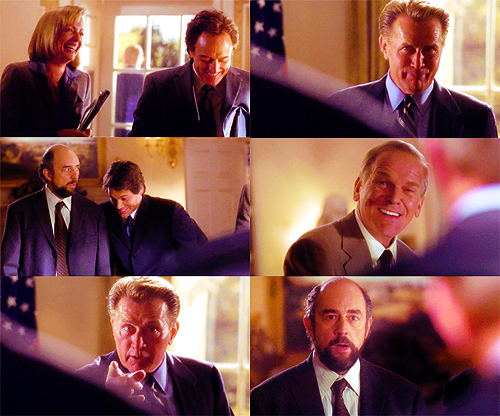 This The West Wing fan art contains business suit, suit, suit of clothes, and three piece suit.